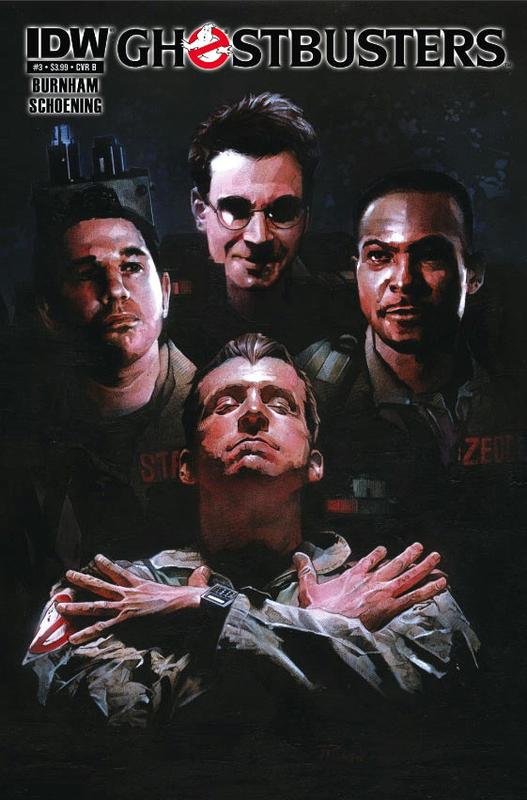 COVER OF THE MONTH: DAN SCHOENING, NICK RUNGE - GHOSTBUSTERS #3 Even God loves a homage done good and when it comes to rock music, few are closer to God than the group this cover salutes. If you're unsure as to what legend this cover nods towards, hang your head in shame. CLOSE CONTENDERS: Robert Atkins - Snake Eyes #7, Tim Truman - Hawken #1 (of 6), and Fuso - Cobra #7. For more IDW November news, click the jump. Love me some Ghostbusters and you can't go wrong with a certain classic rock super group. Put the two together and it's a kind of magic. Such mix could live forever! Ha! Thanks guys! I didn't even think of dropping a pun like that into the post - and considering one of their song titles sounds like the best comic book villianess that never was, well maybe it's me that should be hanging my head in shame! Oh, killer cover. Can't go wrong with the Ghostbusters, but I want to know how he came up with the idea?